Free shipping. Buy direct from HP. See customer reviews and comparisons for the HP Z Turbo Drive Dual Pro 2TB SSD. Upgrades and savings on select products. Power through your largest data challenges and get amazing performance with the HP Z Turbo Drive Dual Pro, which integrates up to two super-fast HP Z Turbo Drive modules into one PCIe x8 card. Deploy an enterprise-class solution that lets you easily combine up to two HP Z Turbo Drive M.2 modules  in one PCIe x8 slot. 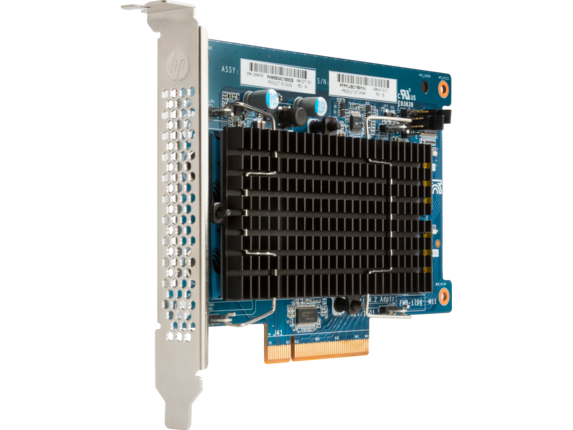 Deploy an enterprise-class solution that lets you easily combine up to two HP Z Turbo Drive M.2 modules in one PCIe x8 slot. 1 Each sold separately. 2 Sequential read performance tested with FIO 2.1.7 with 8 workers, queue depth of 128, and file size of 128K.